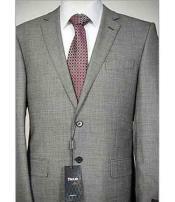 Add a luxurious touch to your wardrobe with this sensational slim fit suit. Windowpane pattern renders a smooth texture for the fabric. 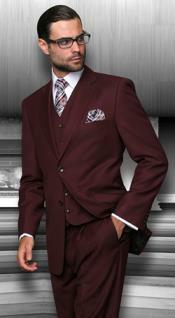 Single breasted front with a highlighting notch lapel smartens the jacket. Charcoal gray tone helps you make an elegant first impression. Quality product serves you the best for a long time.